Where has the Summer gone?…. Fed up with all this rain, when is Summer coming back? Can’t believe I only shot this a couple of weekends ago down at the lake at Bowood House in Wiltshire. 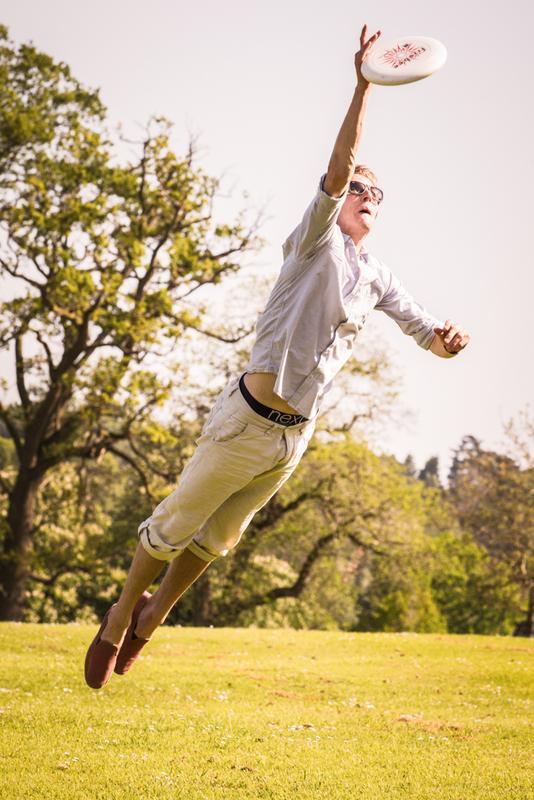 Let’s hope it’s not long before we can get our frisbees out again! Last Friday I had the pleasure of photographing the wedding of Paula and Daniel at The Tythe Barn; this was my 4th wedding at the barn in a row, two around Christmas time and two since the New Year. It was yet another fabulous wedding day and the weather was just amazing with clear blue skies and quite warm for this time of year. 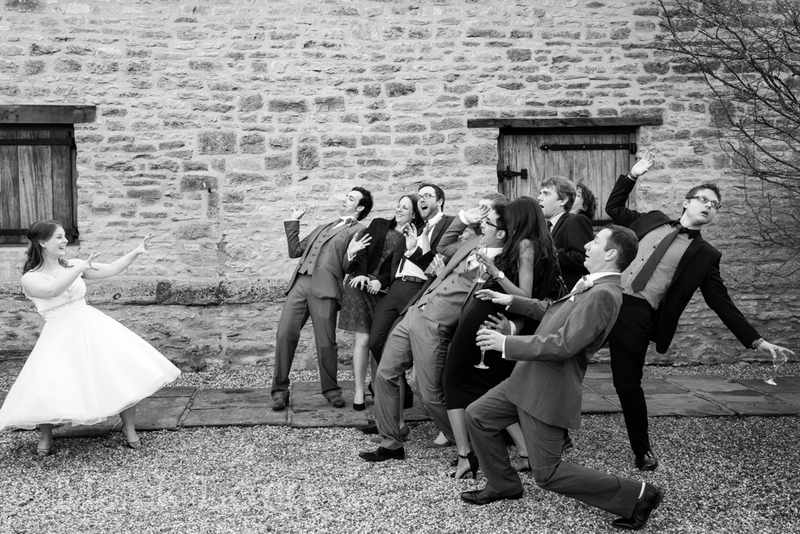 Paula and Dan told me their wedding was to be inspired by the film ‘UP’ a lovely film you should all try and watch. It’s a very colourful film so most of the inspiration was based on bright colours. WOW, I was not disappointed, this wedding had a lot of colour and thought put into the details. 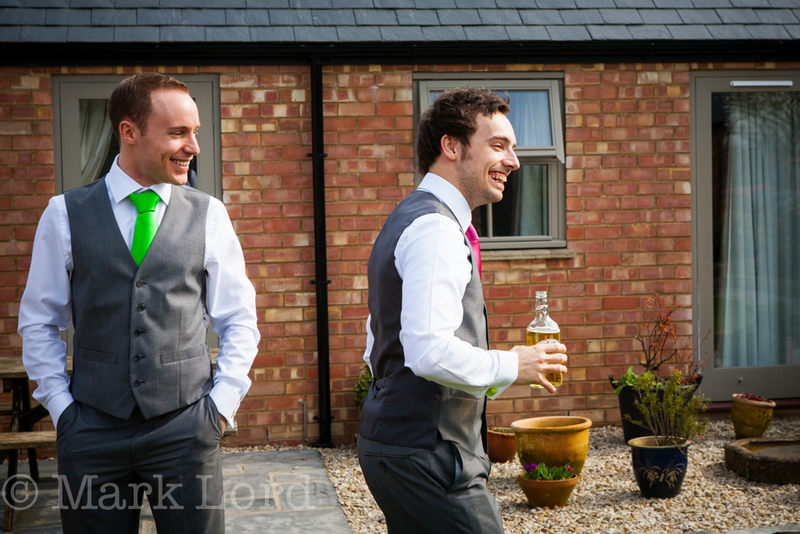 Dan got ready on the outskirts of Brackley with his best men and ushers. He thought he was heading to the barn by taxi, however, Paula arranged a flash car to pick Dan up and take him to the barn. 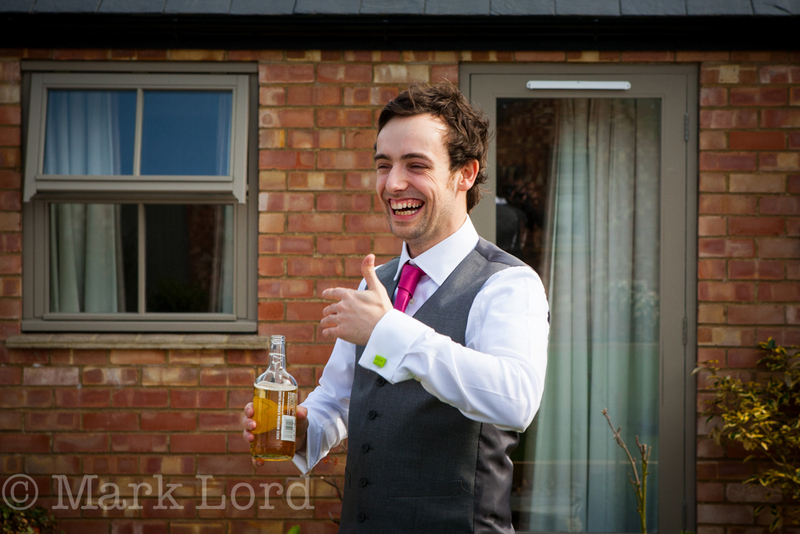 It was a great surprise that my assistant Jack captured and you can see Dan’s reaction in the images below. Meanwhile, Paula was getting ready at their home with a cool orange VW Camper parked outside to take her, her parents and the bridesmaids to the barn. 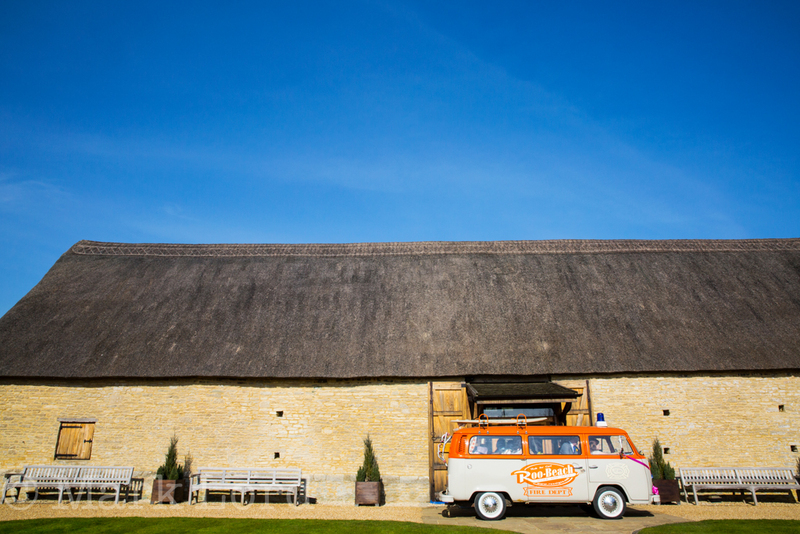 They could not have picked a better colour vehicle to be photographed against the blue sky and the backdrop of the barn as Paula and Co. arrived. It looked……… well……. wicked! 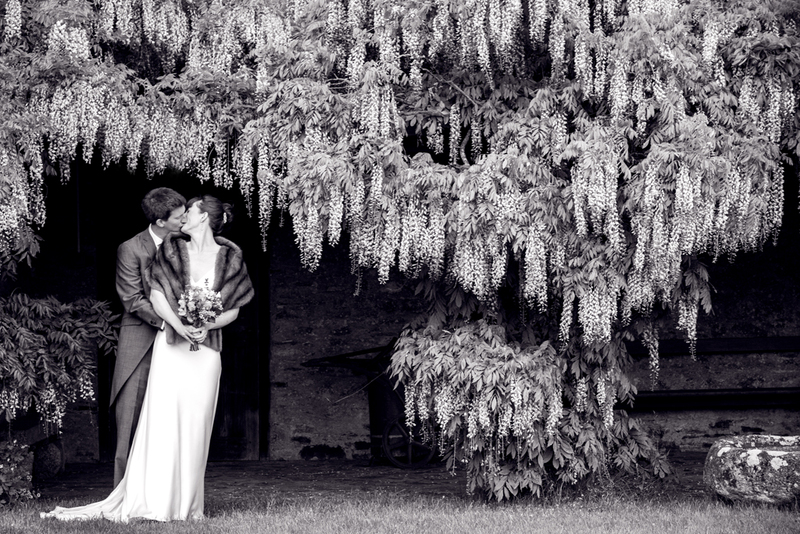 The ceremony went off in true, flawless Tythe Barn style with a reading and a poem written by Paula which was most funny. 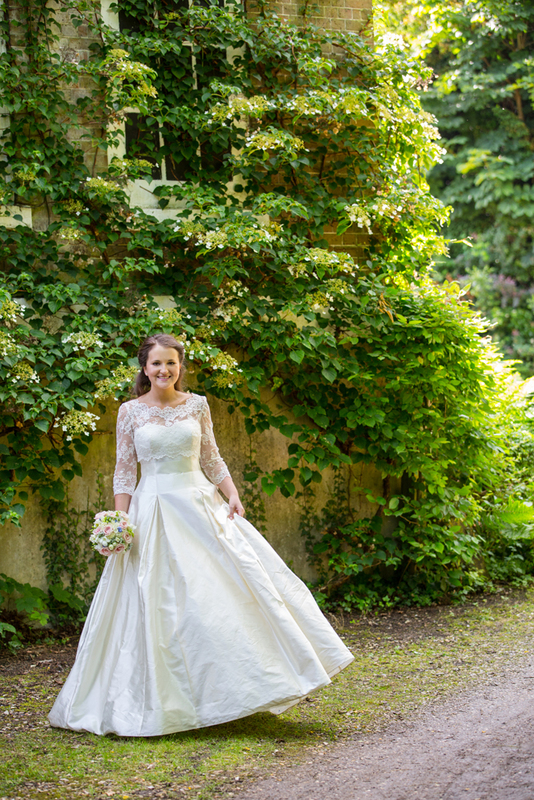 Then followed the champagne reception in the courtyard with a handful of group shots and some inspired by Paula…. 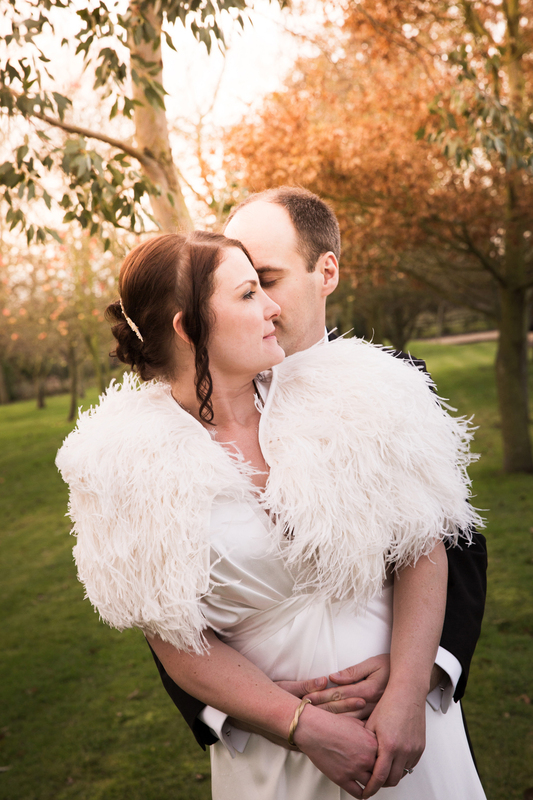 I had my usual 20-30 minutes with the bride and groom to get some lovely pictures of the two of them. Paula and Dan particularly liked my vintage style that I applied to some of their pre wedding shoot pictures and ask for me to apply these effects to some of their wedding pictures. 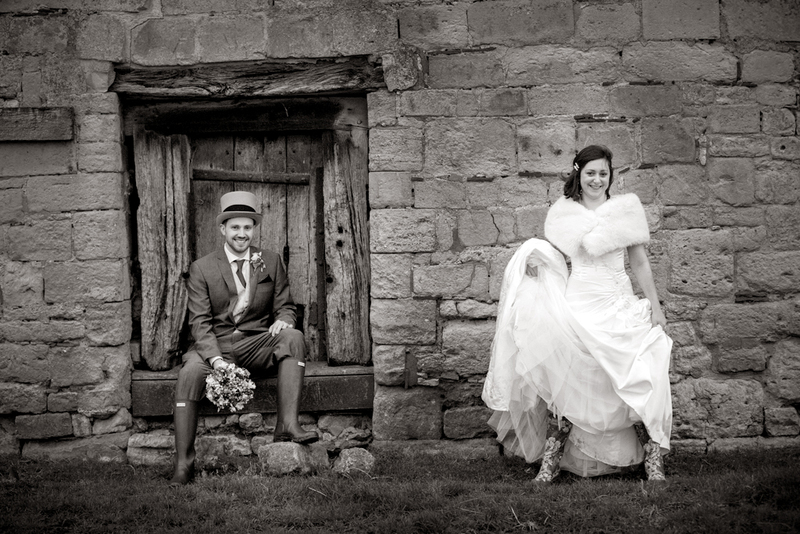 They had some really lovely ideas at their wedding and they both looked fantastic in their outfits. 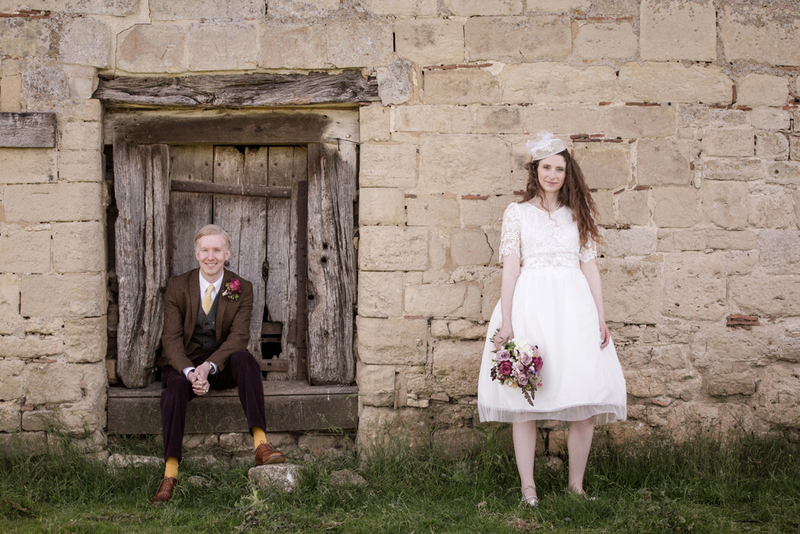 It was another wonderful Tythe Barn wedding and I look forward to my next one there in June. 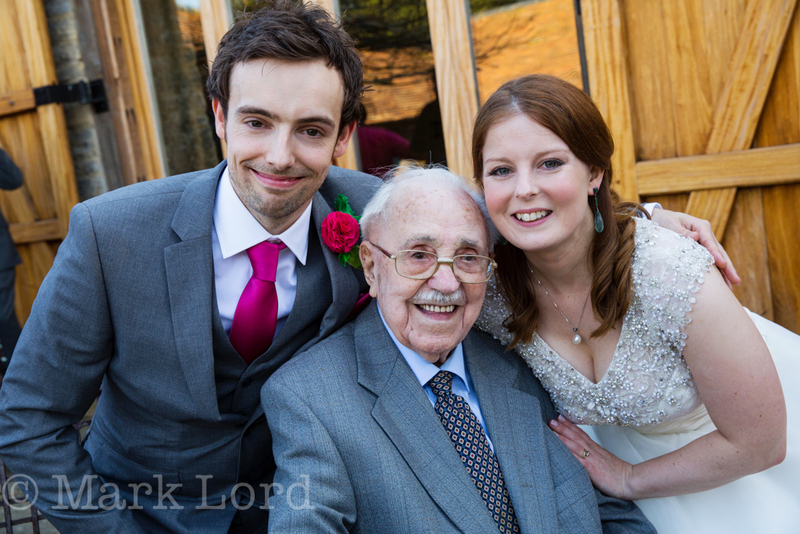 There was a very special man there too, Paula’s grandad who is 99 soon and as bright as a button! Paula and Dan have been on a mini moon (small honeymoon!) for a few days and I have promised them some teasers soon. 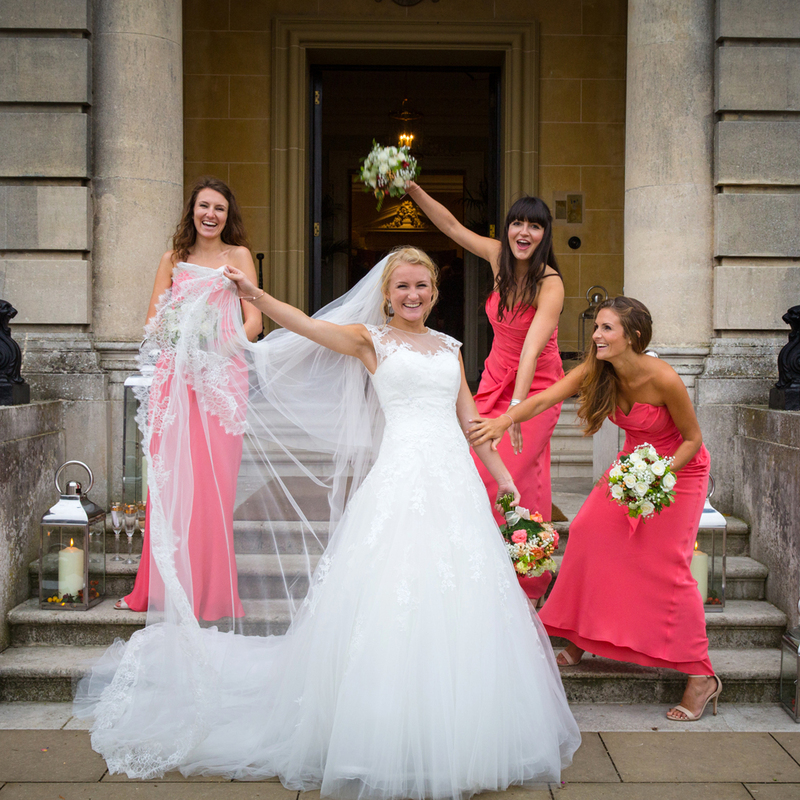 Here’s a sneaky peek guys – there are a lot more images to show you soon…..
With the current British weather I’m sure several brides will be worrying about it raining on their wedding day. Unfortunately this is not something any of us can change and what will be will be. 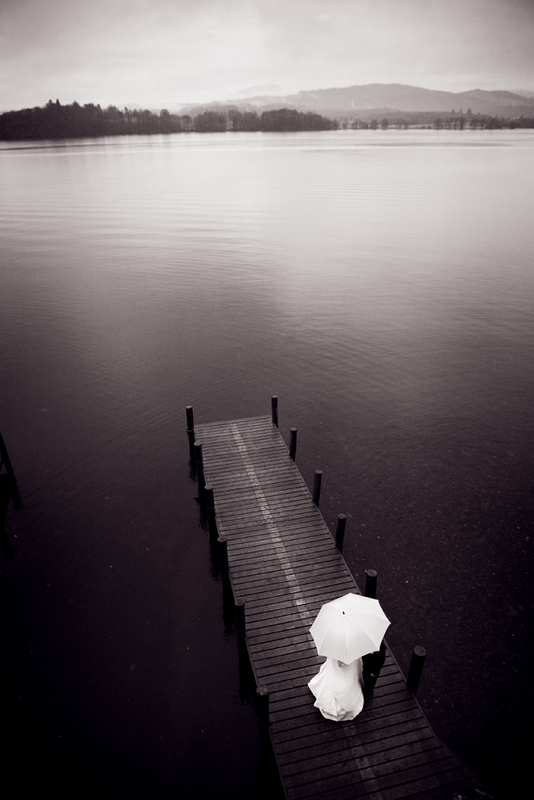 However, a rainy day can make for some stunning photography if everyone is prepared for it. Check with your venue to see what their wet weather plan is, see if they have a load of umbrellas or whether you need to buy some for the bridal party. We bought a job lot of clear umbrellas for our wedding day which thankfully we didn’t really need but it’s one less thing to worry about if you have some. 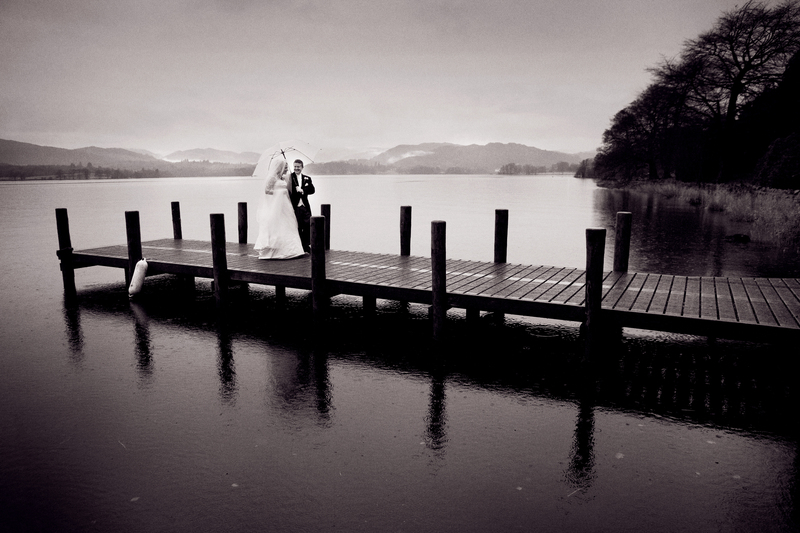 Also, remember the grounds of the reception venue may be waterlogged if there has been flooding or a lot of rainfall. 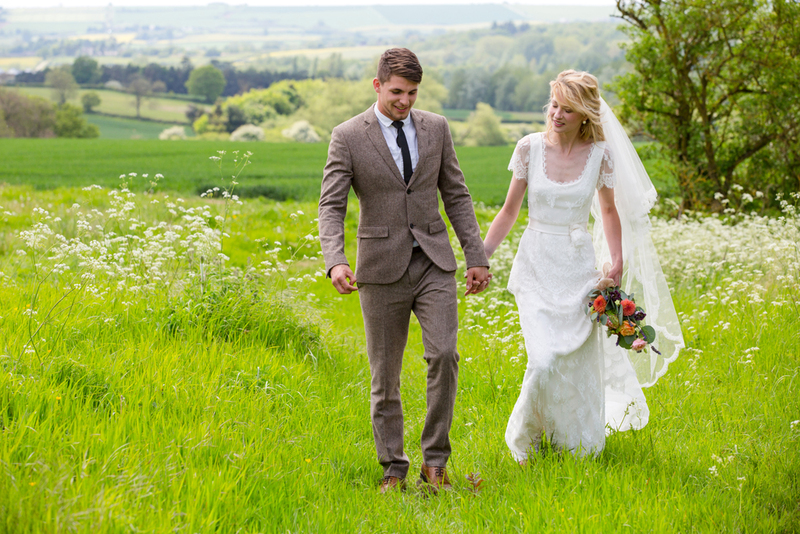 I would suggest getting yourself a couple of pairs of wellies, Hunter do some very trendy ones now so treat yourself to a pair, if you don’t use them on the wedding day then I’m sure they will come in handy another day! But most of all, don’t let it get you down. Just smile and remember it’s good luck if it rains on your wedding day!